Please login with your email address as the user name. if you have forgotten your password you may request a new password by clicking here. Our system sends emails immediately, so if you don’t receive an email immediately following registration, please check your SPAM folder in your email program. 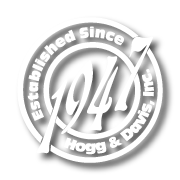 Once you are successfully logged in you will be able to access Hogg Davis product datasheets and other documents available to HD website members. This is a 2 part login form. To access the login form first type the words, “Hogg Davis” in the password field below then press the submit button.